Bonnie oversees & manages our Huntingburg storage facilities for Access Storage Now. With over 22 years of experience in customer service, Bonnie joined Access Storage Now in 2018 as the corporate customer service specialist. She volunteers in her community and church and enjoys spending time with her husband Brent and two children, Lexie and Colin. In her spare time, Bonnie likes to go boating, cruising the countryside in their ’57 Chevy & cheers on the Kentucky Wildcats during basketball season. Looking for storage units near you? 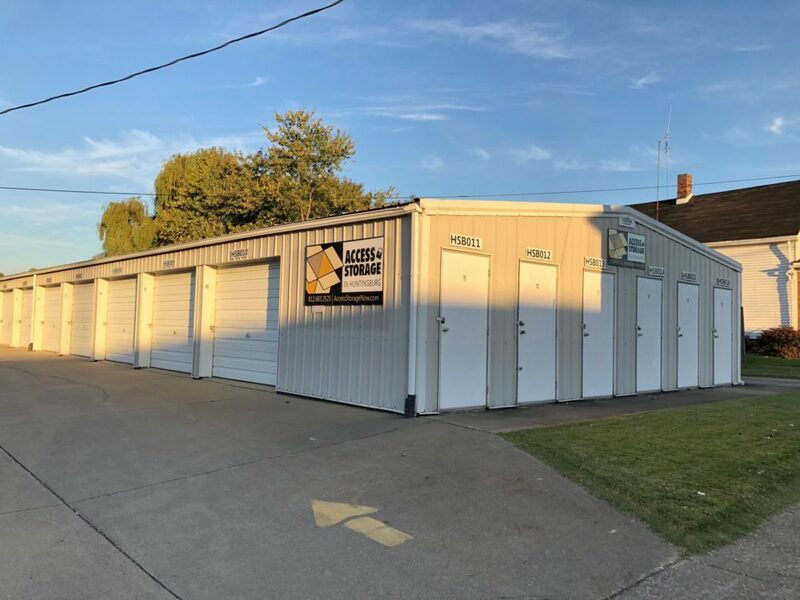 Our storage facility in Huntingburg, IN offers customers a wide range of storage units for every self storage need. Give our staff a call today to learn more about our various types of storage solutions. Visit us today! We are conveniently located off of E. State Road 64. Our team of storage professionals are ready to help make your self storage experience simple. 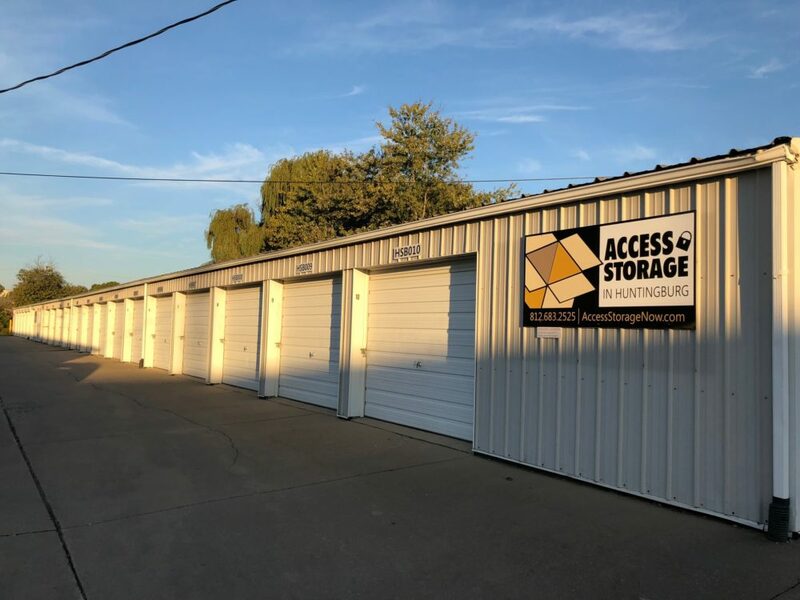 Enjoy 24 hour storage unit access every day at our Huntingburg, IN storage facility! Our storage facility near you has keypad-controlled electronic gate access that provides security and convenience. For more information regarding storage unit accessibility, give us a call. An Access Storage Now manager can help answer all of your questions. Huntingburg is a truly unique city. Nicknamed the “Hollywood of the Midwest”, A League of Their Own, Hard Rain and Soul of the Game were filmed in Huntingburg, IN. The city was named ‘Huntingburg’ because of its popularity as a hunting ground. If you are coming to our facility from near Jasper, IN, first head west on W 6th St toward N Newton St for .4 miles. Continue onto US-231 S and follow US-231 S for 5.2 miles then turn left onto E 22nd St. In 282 feet turn right onto N Van Buren St, and then in 1.4 miles turn right. In 150 feet Access Storage Now will be on your right (516 E. State Road 64, Huntingburg, IN 47542). If you are coming from near Dale, IN, first head north on S Washington St toward W Medcalf St then turn left onto W Medcalf St. In .4 miles continue onto County Rd 300 E, and then in 300 feet continue onto E County Rd 1950 N. In .1-mile turn right onto US-231 N, and then turn right onto US-231 N. In 1.6 miles keep left to stay on US-231 N, and then in 7.9 miles turn right onto E 6th St. In .2 miles arrive at Access Storage Now (516 E. State Road 64, Huntingburg, IN 47542). If you are visiting our facility from near Bretzville, IN, first head southwest then turn right toward IN-162 N. In 100 feet turn right onto IN-162 N, and then in .3 miles turn left onto I-64 W. In 4.4 miles arrive at Access Storage Now (516 E. State Road 64, Huntingburg, IN 47542). If you are driving to our facility from Holland, IN, first head east on Linn St toward S Meridian St then turn left onto S Meridian St. In 300 feet turn right onto Main St, and then in .2 miles turn left onto In-161 N. In 3.6 miles turn right onto IN-64 E/W 6th St, and then in 4.5 miles arrive at Access Storage Now (516 E. State Road 64, Huntingburg, IN 47542). Are you a returning customer with an Access Storage Now story to tell? Share your self storage experience below today! They are very understanding! Very nice and always willing to work with me! I'm climbing out of this rut, but it's sure nice to know that my furniture is waiting for me when I do get ahead financially and move in my new home. I will recommend access storage to all my friends. I have rented my unit for going on two years, and never had to ask them to please work with me. But now that I need them, they are awesome. Thank you access storage! You rock! This is my 2nd time renting storage from Access Storage and its just as easy as the first time. They have such a great well rounded group of staff members whom are always so polite and welcoming, but most importantly, always professional in a respectful way. Anytime someone asks about storage the very first name is Access without trying to say it because they are hands down amazing! !